Tcontrol or Tmtkcontrol, as it is also known, is and adware–type program that was designed to redirect you to ad-supported websites that contain banner ads and coupons. Without a doubt, this application is invasive and malicious. Its redirections will hinder your browsing experience and subject you to potentially dangerous content. If you want to keep your computer safe and secure, we suggest that you remove this application from your PC as soon as possible. Tcontrol is an application that interacts with web browsers and modifies the way they work to inject its advertisements. Our research has shown that this adware can randomly launch your browser at any time and load Mybikeisred.com which can then redirect you to Pasdeseldansmoncafe.com, Pbagragguvrs.com, Tunevaspaslecroire.com, Tuveuxallerou.com, Viveladopamine.com, Waterisgoodtodrink.com. 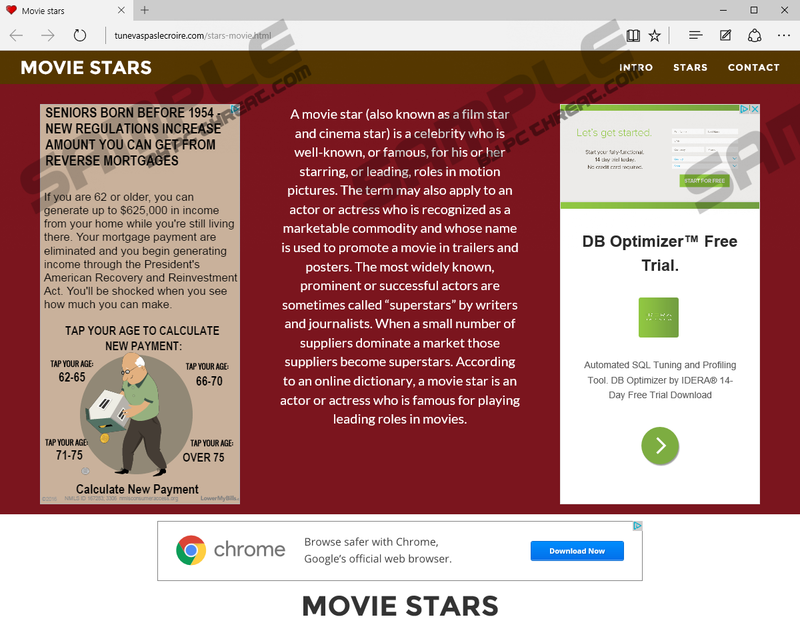 These ad-supported websites were set up specifically to show commercial advertisements. However, they were set to feature information about various celebrities, landmarks, and famous places. We are certain that the additional text is there to distract you and point your attention away from the ads, so it would not look like an advertising site only. Nevertheless, ads are very important for this program’s developers because they generate them money when they are clicked. The sites mentioned above feature many ads that are displayed as banners and coupons. We have observed that the ads are region-specific, so they can vary depending on where you live. Most of them are legitimate and safe to click, but since there is no information about Tcontrol’s developers and their advertising partners, we believe that some of the ads can be of malicious nature. However, for the most part, we recommend deleting this application because it is bound to hinder your browsing experience with its annoying redirections. It is worth mentioning that this adware will gather anonymous information about you automatically and use it for customizing the ad campaign for each unique user. So it can collect information such as your Internet Protocol (IP) address, Internet Service Provider (ISP) name, approximate geographical location, browser type, operating system type, ads clicked, and so on. Due to the fact that this program uses this information for advancing its developer’s agenda, we urge you not to keep it on your PC and get rid of it as soon as the opportunity arises. Before we move on to Tcontrol’s removal, we want to discuss its distribution method. It would appear that this adware is disseminated with the help of bundled software installers. You may encounter such software installers if you visit shady freeware hosting websites that bundle free applications with malware such as adware and browser hijackers. While most installers should allow you to uncheck Tcontrol’s installation, some of them might not and install it without your knowledge or approval. Without a doubt, Tcontrol is one malicious ad-showing application that we have rightfully classified as adware. Its redirects was designed to randomly open your browser and redirect you to sites that feature advertisements. This kind of advertising is not only annoying but malicious as well because our research has shown that this adware can easily promote content of unverified legitimacy, so you should consider removing it. You can use the instruction included below this article to get rid of this adware manually. Enter %PROGRAMFILES% and %PROGRAMFILES(x86)% in the File Explorer’s address box and press Enter. Find TmtkControl, right-click it and click Delete. Type regedit and click OK.
Delete the following registry keys. Find Sysctl, right-click it and click Delete. Quick & tested solution for Tcontrol removal.